Why are Indian investors so nonchalant about L&T's alleged role in the Cognizant bribery case? Ten years ago, while discussing pervasive corruption in India, an industrialist from the engineering industry, with a very high reputation for integrity, candidly told me that ‘when it comes to my personal earnings, I am scrupulously correct, but if I insisted that my managers follow the same standards, they would not be able to do business’. This is probably why the Indian investors seem so nonchalant about Larsen & Toubro’s (L&T’s) role as a facilitator of the bribe paid on behalf of Cognizant Technology Solutions Corporation, for projects in Chennai and Pune. Cognizant settled the bribery charge by paying up $25 million (without admitting or denying guilt) to the US Securities Exchange Commission (SEC). Two senior executives, who have since left the company, have been indicted on criminal charges under the Foreign Corrupt Practices Act of the US. But L&T, which is the “construction firm responsible for building Cognizant’s 2.7 million square foot campus in Chennai,” referred to in the SEC release, simply brushed off the charge with a brazen statement that it will not comment on Cognizant’s decision to enter into a settlement. Is anyone really shocked that a government official or a politician in India demanded a bribe? Hardly. Some political parties in Chennai have demanded details, but even proxy firms seem to be dismissing the Cognizant-L&T bribery episode as a cost of doing business in India. But what does it signal when a government, which promised zero tolerance of corruption, fails to even order an inquiry? The National Democratic Alliance has amended the Prevention of Corruption Act (PCA) to give it more teeth and ensure faster investigation and resolution of cases. But no inquiry has been ordered in this case – not even by the capital market regulator. There is, indeed, a big element of blackmail when a politician or bureaucrat demands a bribe or needs his palms greased to issue permissions, licences, approvals or legitimate payments for work done. Companies, often, have to pay to escape harassment, meet project deadlines and production targets – usually with a clock ticking on loan repayments, payment of salaries, dividends, etc. Refusing to pay a bribe to an obdurate official has, sometimes, destroyed companies and, often, led to revengeful government officials entangling them in expensive and never-ending litigation. So, I am not advocating moralistic action aimed at inflicting further punishment and humiliation on companies that are forced to bribe, but one that signals a resolve to end such extortion. This is important for ensuring real ‘Ease of Doing Business’, by allowing fast-growing companies to invest and create employment opportunities instead of being bogged down by bureaucracy and corruption. In this case, we need action against the government official whose demand for bribes held up a large project. 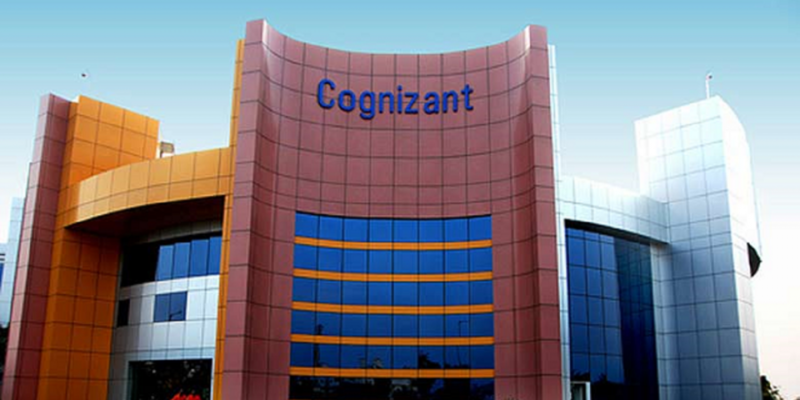 Incidentally, this is not a local Chennai (Chennai) issue, because investigations had apparently revealed that Cognizant had to pay in Pune as well. A serious effort at ending corruption requires the government to signal that all corruption and extortive actions will be investigated and punished. It cannot be selective or on a case-by-case basis. Admittedly, such an expectation seems incongruous when top officials of the Central Bureau of Investigation (CBI) have been embroiled serious corruption charges and one was even convicted for contempt of court. Unfortunately, that episode, and a few others has overshadowed one of the biggest achievements of the Narendra Modi government – its seriousness about resolving the biggest issue of non-performing assets in Indian banking. Apart from bringing in the bankruptcy law (Insolvency & Bankruptcy Code), banks were allowed to pursue recovery without pressure or interference. Industrialists, auditors and central bankers all admit that the government’s firm commitment not to buckle under corporate pressure has, for the first time in decades, led to a change in management of large and viable companies through a judicial process. At a recent seminar that I attended in Kochi, a top auditor described how bankers and regulators were fully co-opted in the process of ever-greening bad loans. The NDA government had inherited a humungous problem with public sector banks (PSBs) which were on the brink. They were desperately in need of large capital infusions with bad loans running in excess of Rs 8 lakh crore. But it needed great resolve and determination to permit investigation agencies to do their job. Even industrialists perceived to be close to the ruling government have been forced to liquidate assets and pay up and the only delaying tactics that have had limited success are efforts at gaming the judicial system. This led to Neeraj Singal, promoter of Bhushan Steel, being the first big industrialist to do jail time. CBI caught him bribing the chairman of Syndicate Bank in August 2014. He was again arrested in August 2018 in an action by the serious frauds investigation office (SFIO) on the charge of allegedly having siphoned off Rs2,500 crore through scores of shell companies. Interestingly, Moneylife has reported the Singal family’s involvement in market manipulation for tax evasion through a network of shell companies. The Singals are also the only industrialist family to have actually lost two large companies – Bhushan Steel and Bhushan Power (under bankruptcy resolution) – under the IBC process. Bhushan Steel alone owed over Rs 40,000 crore to 51 banks. This happened, despite the Singals trying every trick in the book to derail the process including proxy litigation. If Essar Steel is finally sold to the L.N. Mittal group later this week, it will be another big achievement. The fact that so many realty magnates (Unitech, Aamrapali, D.S. Kulkarni and others) have faced jail time is also because ready funding from banks and shadow banks, finally, came to a halt. It is interesting to note that the political opposition has had no role to play in demanding action against corruption. In fact, barring a letter from Mamata Banerjee on the Infrastructure Leasing & Financial Services (IL&FS) collapse, they have been largely silent about the shenanigans of big industry. The only exception is Anil Ambani and that, too, is limited to the Rafale jet purchase. Why has this not translated into big perception gains for the government? Well, partly because new scams have erupted. Some of these, like Gitanjali Gems, IL&FS, Nirav Modi and Suraj/Winsome Diamonds, are also a legacy of the previous governments. But the perception issue persists because the government hasn’t done enough to signal to the bankers that they will be accountable for new scams. The finance ministry has been touting its achievements of loan recovery (Rs 2.75 lakh crore last year, tweets the secretary, department of economic affairs), but senior bankers tell us that loan write-offs continue to be very high and were at Rs 2 lakh crore last year. Also, the bankruptcy process is not working beyond the top few accounts and recovery is 13.7%, according to the RBI’s report on Trends and Progress of Banking in India 2017-18. While PSBs are emerging out of the prompt corrective action phase, nothing has been done to stop the creation of new bad loans, putting in place stricter evaluation process or making heads of PSBs more accountable. It was chilling to hear past and present PSB heads, at a recent financial conclave, exude bumptious confidence about the ‘worst being over’ without any mention about how or why things will be different, now that they have a big infusion of public money (Rs48,000 crore most recently). Rooting out corruption is not about empowering the same corrupt officials with draconian powers to harass ordinary people and well-run businesses but sending a signal that every case of perceived corruption will be investigated and handled in a non-partisan manner. And that is why the complete silence over the Cognizant-L&T bribery issue and the failure to order even an investigation is disappointing and sends contrary signals about the fight against corruption. 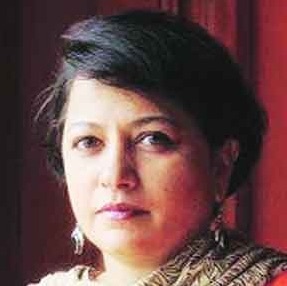 Sucheta Dalal is the Managing Editor of Moneylife where this column was first published.